Rental property owners and tenants may be unsure about the limits of their responsibilities for fire damage. Here are three helpful facts about liability and insurance coverage in the event of an apartment fire in Lee & South Chatham Counties. Property Owners Are Responsible For Structural Damage A landlord is responsible for covering damage caused by fire to the property itself. This includes building materials, systems, and provided contents, such as carpeting. A homeowners insurance policy should cover the cost of cleaning, restoring, or replacing damaged materials and items. 2. Tenants Are Responsible For Their Contents Tenants are responsible for restoring or replacing their own possessions following an apartment fire. These contents may include clothing, furniture, electronic devices, and personal effects. This is likely to be the case regardless of the cause of a fire. Renters insurance can help to offset costs that accrue due to a fire at a rented residence. Tenants should make sure that that the policy they choose will cover replacement costs and not actual value with depreciation. 3. Renters Insurance Can Cover Additional Costs Renters insurance policies may also provide a limited amount of liability coverage for negligence as well as injuries or property damage suffered by third parties. These policies may also help to offset a variety of expenses associated with loss of a use of a residence, such as additional living costs or the cost of temporary relocation for the duration of the mitigation and restoration process. 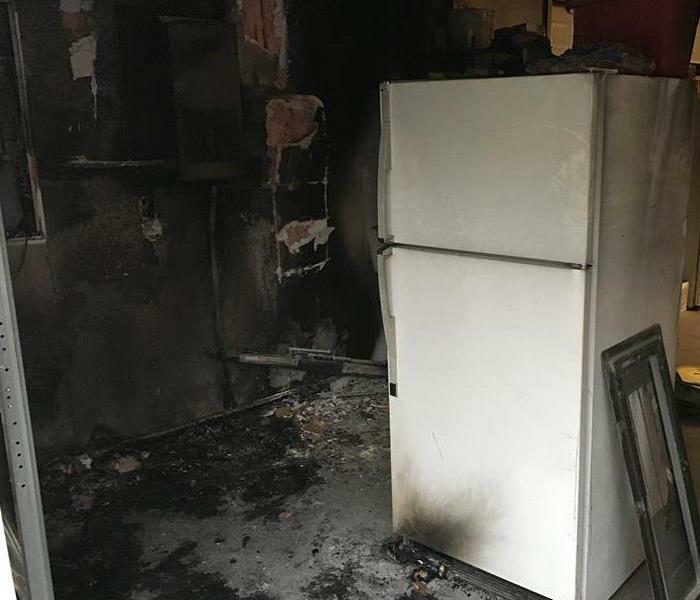 After an apartment fire has been extinguished, renters should document damage to contents and make a list of items in need of restoration, repair, or replacement. Try to locate proof of purchase if possible. Property owners should also document structural damage to support a separate homeowners insurance claim. Renters and landlords can both benefit from the expertise of a fire damage cleanup and restoration company in Lee & South Chatham Counties. When many homeowners think about storm coverage, they usually think about flood protection. Your home in Lee & South Chatham Counties, NC, can just as easily suffer wind damage, though. Flying items can break windows and cause holes in your roof. There are several factors that affect whether your homeowner’s insurance covers damage to your roof and, if so, how much it covers. Being able to show that you have taken the appropriate precautions to minimize roof damage in the event of a storm improves your chances of being covered by your policy. One of the first calls you will make after wind damage occurs is to your insurance company. An adjuster will come assess the damage detailed in your claim. You probably want storm mitigation experts to start repairs before the adjuster arrives, however, to prevent further issues. It’s important to take pictures or videos of the original damage and to list all the repairs that need to be done. Document everything you list in your claim. As parts of your home age, they depreciate in value. If your roof is more than ten years old, the insurance company may not foot the entire bill, especially if you need total roof replacement. You may get partial coverage for its current value. 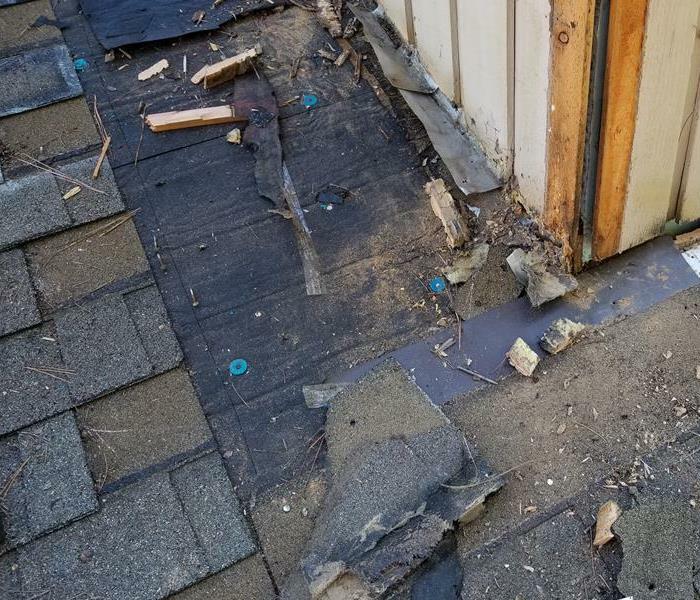 Even if the roof is newer, the insurance company may not pay the full cost of repairs or replacement if it was significantly worn before the most current damage happened. The best way to know how much of the wind damage repairs your insurance company will cover is to ask. Your agent can detail the factors involved in making decisions about claims. State law requires that you post an evacuation plan in a visible place for your staff and customers. Make sure that your employees understand it and know how to carefully guide clientele to safe areas should a disaster occur. Have a phone tree established so that all employees are alerted to important information whether they are at work or at home. 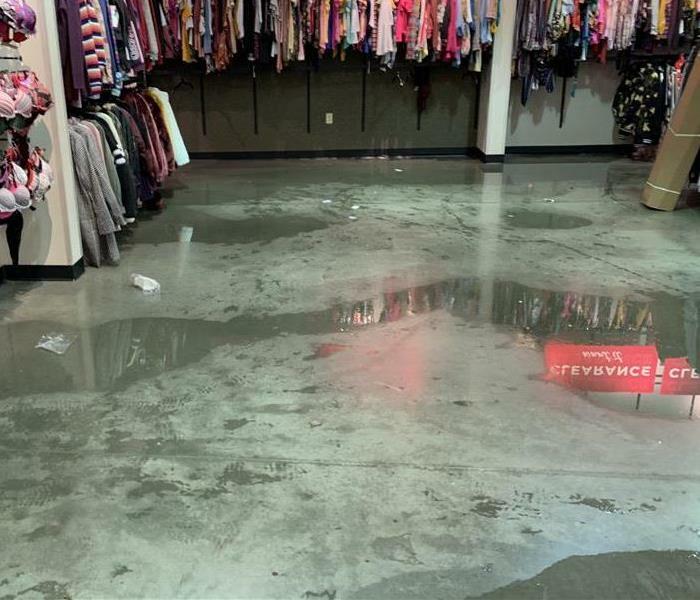 Our team here at SERVPRO of Lee & South Chatham Counties is ready to help in case of disaster and large loss water damages, and the repairs your business may need in the aftermath. We are also experts in fire damage restoration, mold remediation, commercial restoration, and much more! 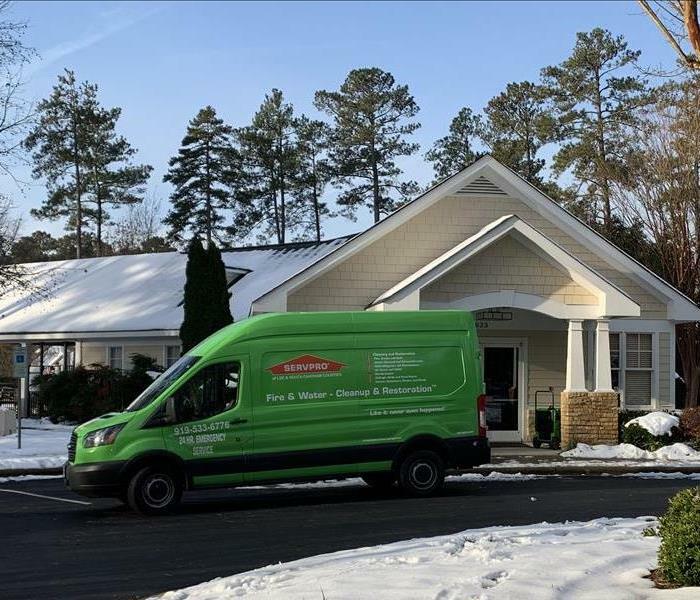 After a heavy storm and a significant amount of mold growth, our SERVPRO of Lee & South Chatham Counties was called in for mitigation that was needed. Our SERVPRO of Lee & South Chatham Counties removed and disposed of all contaminated material and completed a heavy cleaning. Our SERVPRO of Lee & South Chatham Counties was able to complete the mitigation and subsequent work in a timely manner so that this facility was not disrupted for any longer than needed. Our SERVPRO of Lee & South Chatham Counties is ready to help anywhere in the community at any given time. Our team helps with any type of commercial, storm, fire, or water loss. Our trucks are loaded and ready to head out to help your business resume normal operating procedures as soon as possible. Is Faulty Drainage Causing Flooding in Your Pittsboro Crawlspace? SERVPRO of Lee & South Chatham Counties is ready to tackle your water restoration needs. Water diversion elements like your gutters and french drain systems around your Pittsboro home can help to keep elements like your basement and crawlspace dry, especially during the rainy seasons. While flooding can prove to be a common threat to residents here from the severe weather that can often pass through the area, ensuring that these diversion elements are intact and functioning properly can help to avoid catastrophes. When your gutter system fails or becomes damaged during a storm, water can pool against the home or find its way into the crawlspace area to allow an array of potential damages. By the time that homeowners realize there is an issue with their gutter systems, flood damage has already likely occurred to the crawlspace of their Pittsboro home. Our SERVPRO team has a fast response to flood emergencies, offering efficient extraction tools and drying equipment that can help the damage in this crawlspace from reaching the main floor of your home. We arrive with many machines and tools ideal for fast extraction, such as our portable sump pumps and extraction wands fitted to wet-vacs. In more severe cases, we also have gas-powered trash pumps that can remove the excess water at a faster rate to free up space for drying efforts to come. It is vital to get exposed supports, beams, and the underside of flooring dried to acceptable parameters to prevent secondary effects like mold growth from beginning. Our contracting division of the team can also help in repairing the damaged gutter system that has allowed the flooding to occur throughout the restoration process. This repair ensures that the appropriate precautionary measures are in place to prevent the same flooding from happening the next severe storm that passes through. While you might not be able to determine the condition of your gutter system easily and when it can fail, our SERVPRO of Lee & South Chatham Counties rapid response team can arrive quickly to help you deal with the effects of this situation. Give our team a call anytime that you need us at (919) 533-6776. Pittsboro home had severe fire damage. A fire can wreak havoc on your home, but the flames aren’t the only things that can cause destruction to your property. Often times, water can cause as many or, in some cases, more problems as the fire damage itself. 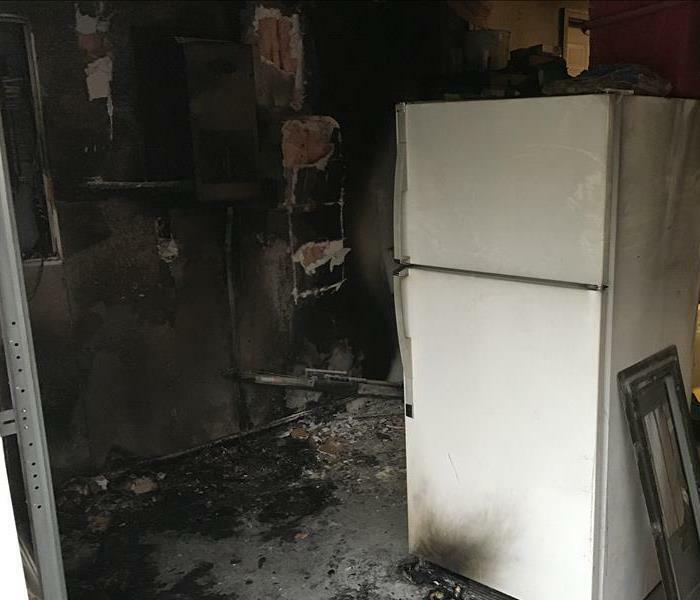 If you own a home in Pittsboro, NC, then you should be aware of the ways that water can cause further devastation after a fire. 3/12/2019 - Is Faulty Drainage Causing Flooding in Your Pittsboro Crawlspace?